Here is a discussion of some badge manufacturing technical information of general interest to users of our publications. 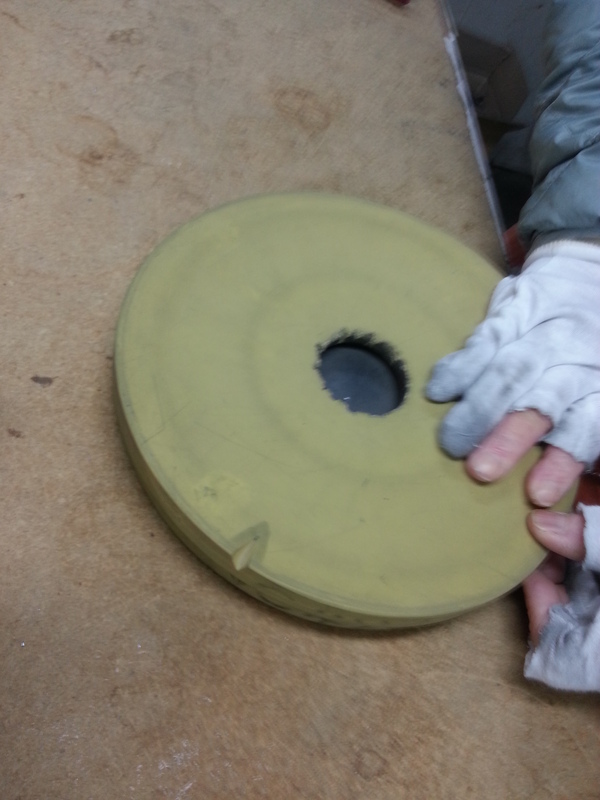 This casting technique involves using upper and lower moulds which are pressed together (sandwiched) to form a cohesive platter, before being placed in a centrifuge and spun at high speed. At that point, a low melting temperature metal alloy is poured into a central aperture in the top mould. The spin casting process then uses centrifugal force to distribute the molten alloy through a network of tubes in the mold platter, forcing the metal out into to detailed casting galleries on the peripheral edge of the spinning platter. In this way, multiple badges are cast simultaneously. The number of badges yielded from each casting process, is dependent upon the size of the individual badge being made and the size of the platters which the spin casting machine can handle. 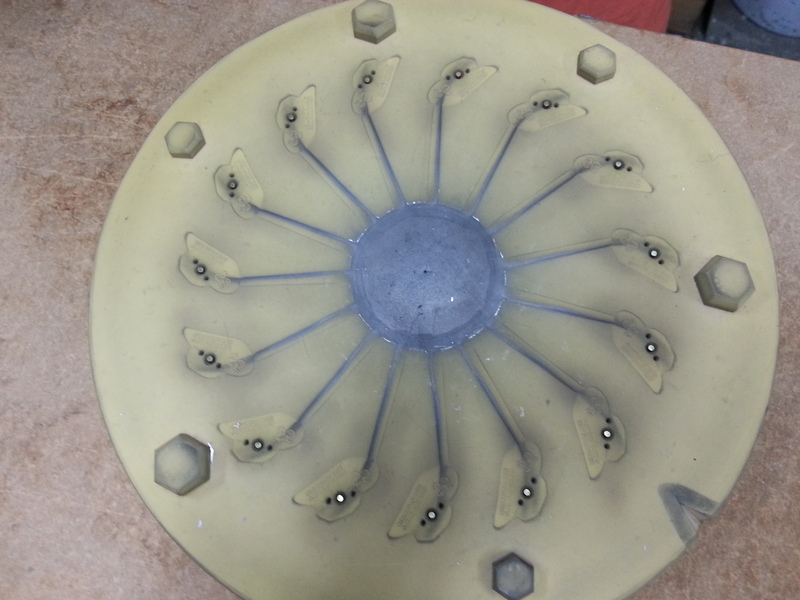 Centrifugally cast ANZAC Day badges, shown attached to their original casting sprue, which has just been freed from the mold platters which formed it. Note the central distribution point where the metal alloy entered the spinning mould platter. 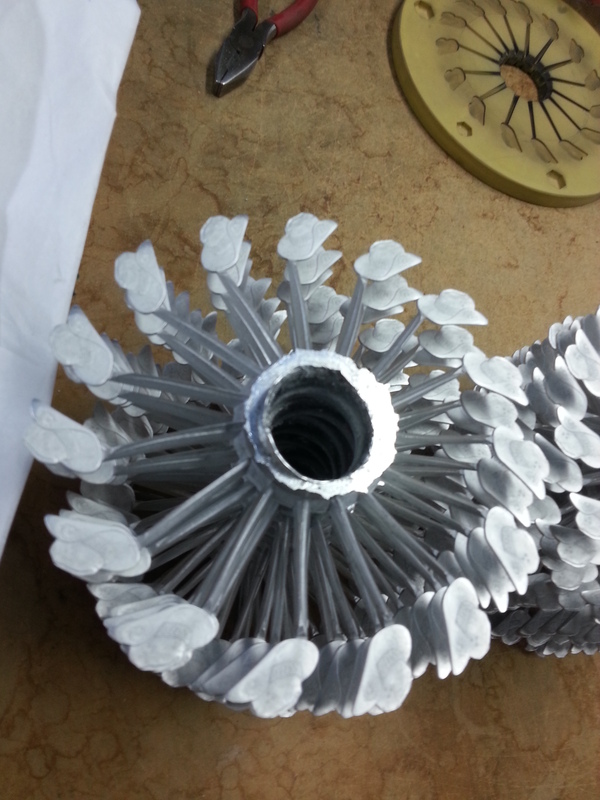 An image of the lower mould, within which the badge sprue is formed during spin casting. In this image, the badges are still sitting within the lower mold platter. The (now cooled and solidified) central fill point and the now hardened distribution channels which run out to each badge, can be seen before the raw casting is removed (as shown in the picture above). This is an image of the top mould, still sitting on top of the lower one, with the raw casting still positioned within the platter formed by the two mould layers. Note that in this picture: the cooled and solid cast metal, can be seen at the central fill point… while the Machinist’s hands show the small scale of the mould platter itself. These manufacturing techniques are also discussed in our book and in video material.